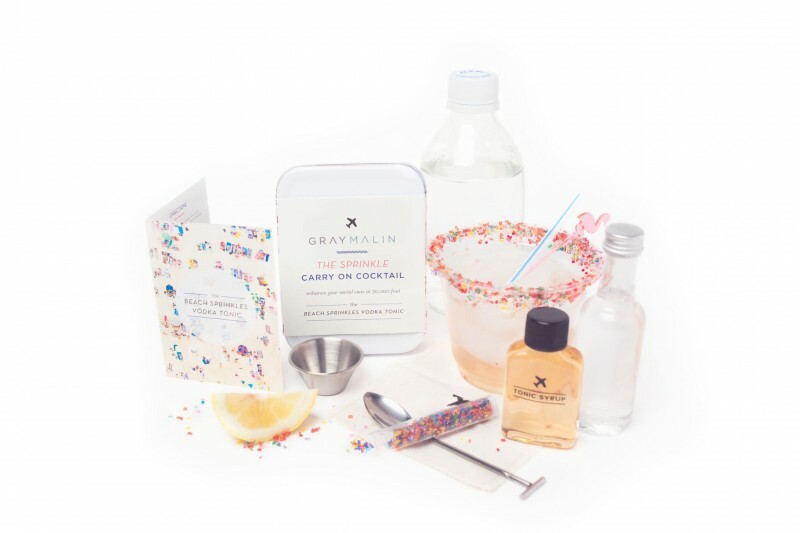 Brand New: The Sprinkle Carry On Cocktail Kit! Today is a very special day... as today is the day I hope to officially brighten up all of your future travel plans. 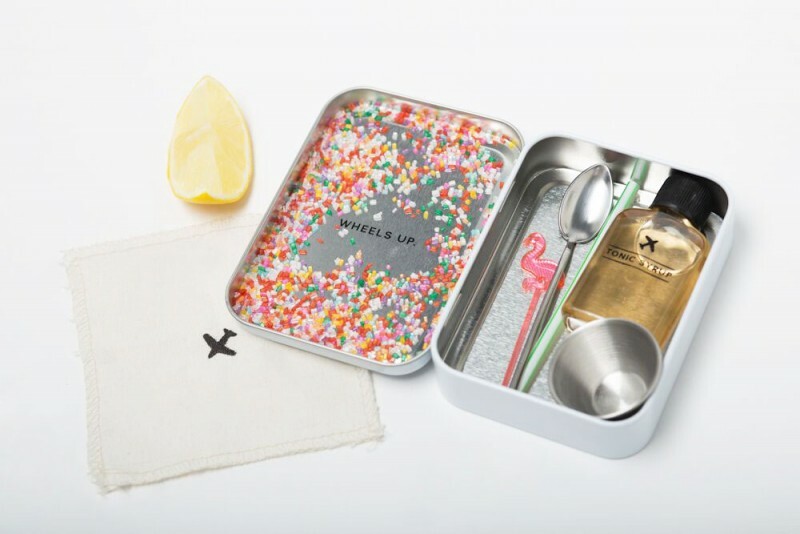 Just in time for the hectic holidays, I bring you the newest addition to your carry-on bag, The Sprinkle Carry On Cocktail Kit. 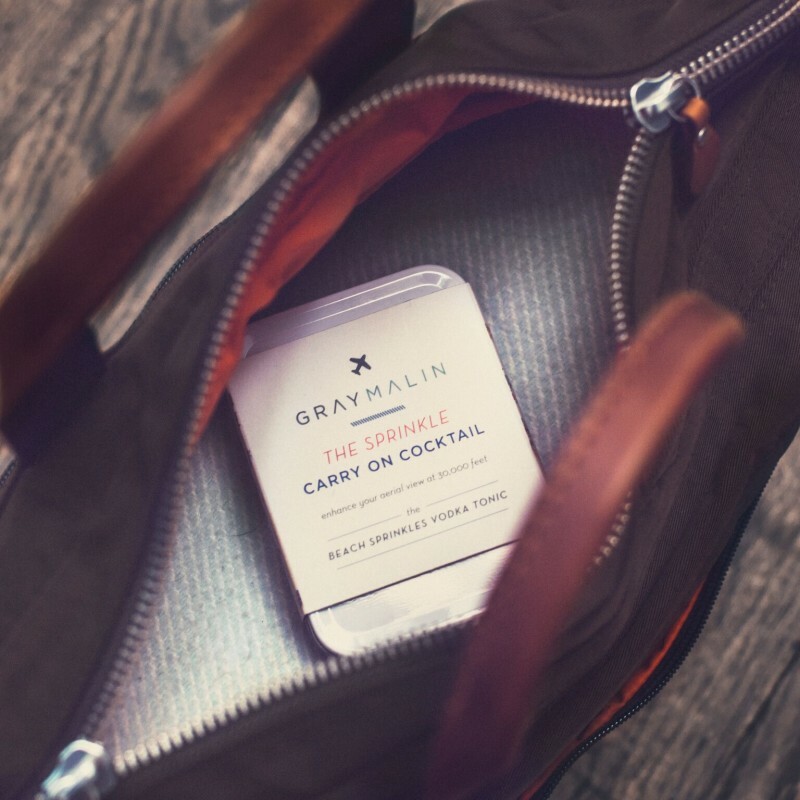 The Cocktail Kit has been a long time coming so before I get too ahead of myself, let me give you a quick background into what inspired me to make this kit into a reality. 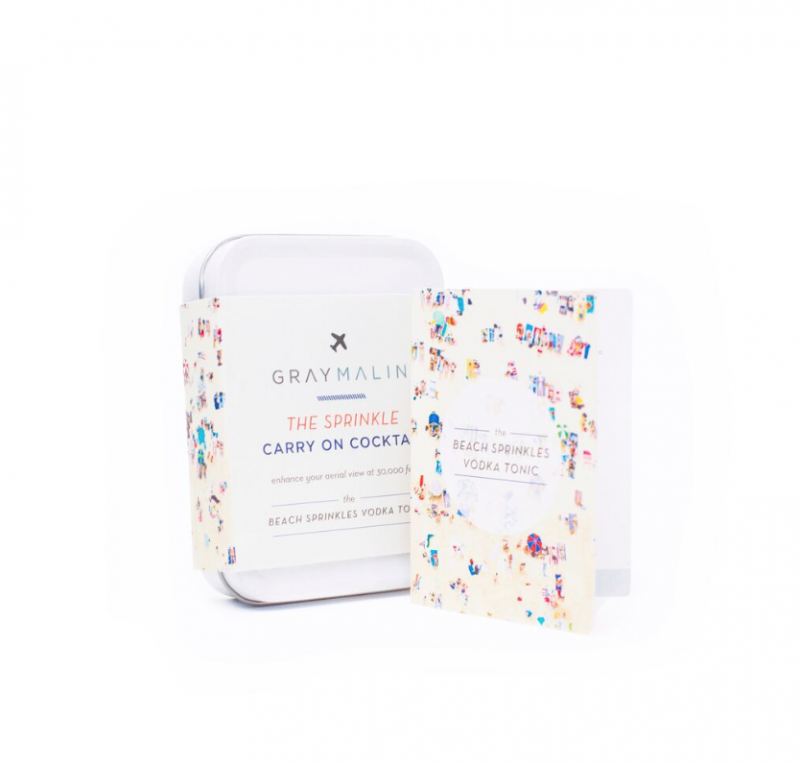 Last Thanksgiving, I hopped on a flight home to see my family with a bag of sprinkles in my carry on bag. The intended use? To encourage me to bake something once I arrived. What I used it for? 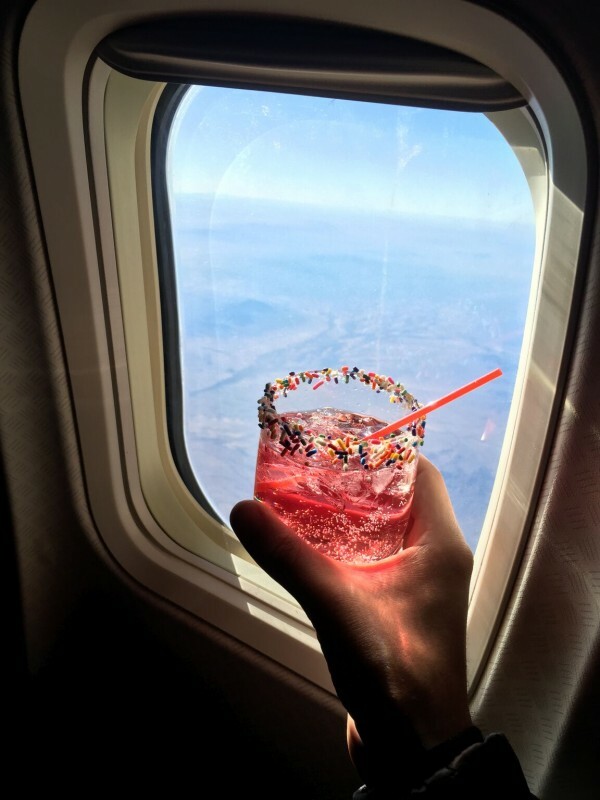 To sprinkle my in-flight cocktail, naturally. A quick snap and post to Instagram, and the rest is history! It has become a staple of mine at various events this year as well as popped up a few (okay many) more times along the way. Inspired to make travel FUN for everyone, I found W & P Design, who helped me create the masterpiece that you all see today. 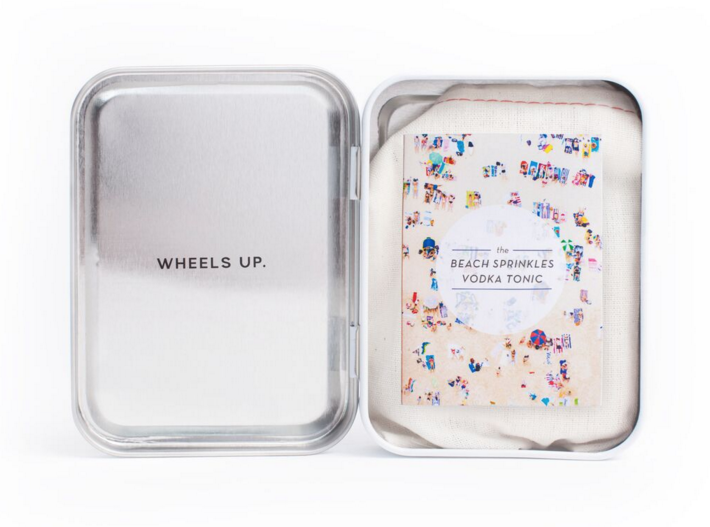 Step 2 - Once settling into your flight, read the 'Beach Sprinkles Vodka Tonic' instruction card about what to order from your flight attendant. 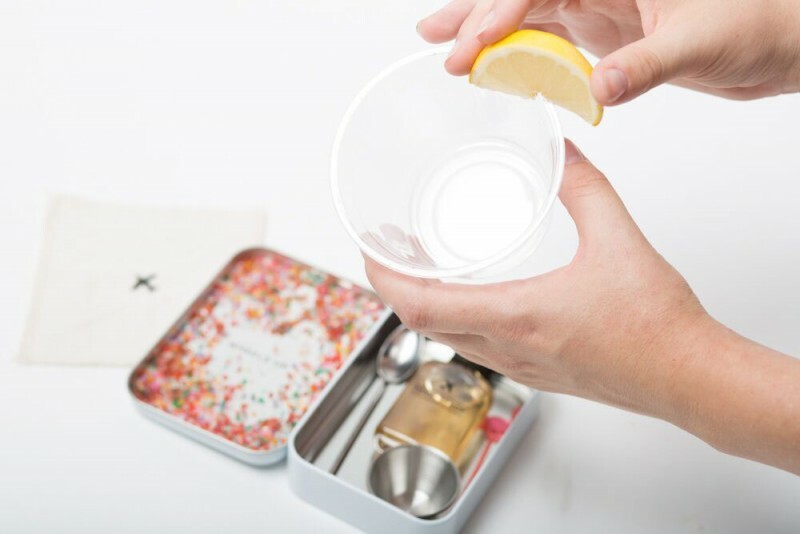 Step 5 - Add your craft tonic syrup with the metal jigger along with the other ingredients to your preferred taste, then Stir with the metal bar spoon. Step 6 - Add the fun flamingo stirrer and cocktail straw and... Voila! 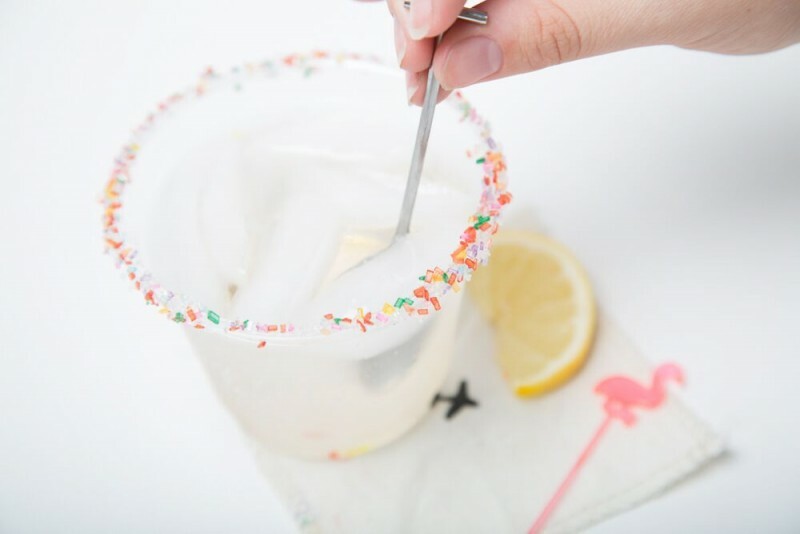 Sip & Enjoy to your Sprinkled Heart's content. 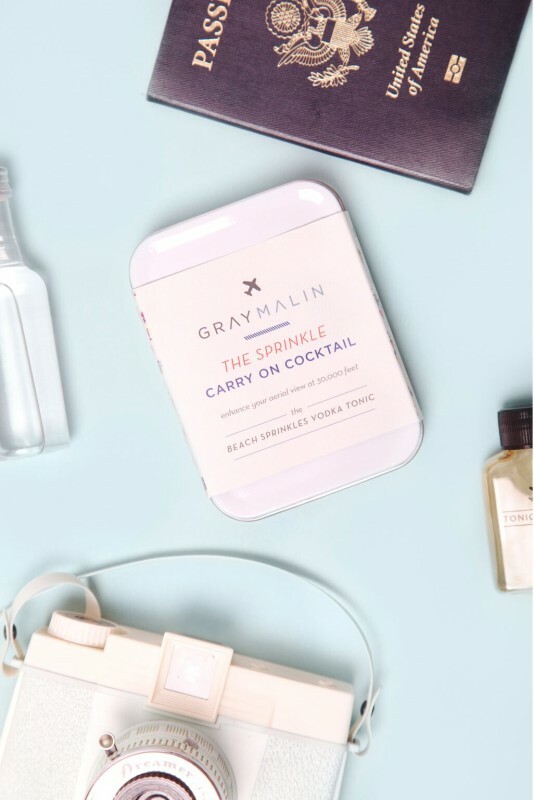 Lastly- be sure to snap a picture and use the handle #graymalincocktail to share your in-flight cocktail moments with us on Instagram! 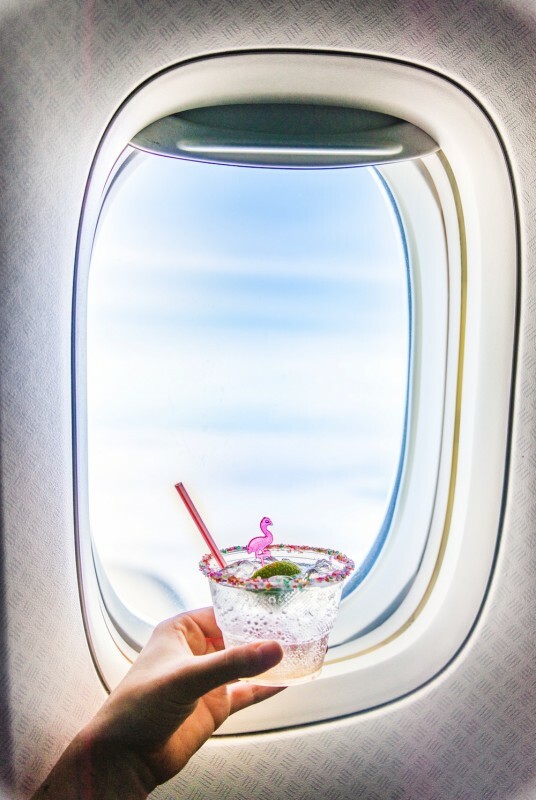 Cheers to making travel a more fun experience and thank you for Flying 'Sprinkle Airways'!